Our hair dye is suitable for people allergic to PPD, a well-known component often found in mainstream colorants. For anyone who suffers from allergies, these substances have been linked to violent skin reactions such as eczema or urticaria. Our alternative coloring hair dye offers a more natural solution which respects sensitive skin and the scalp. 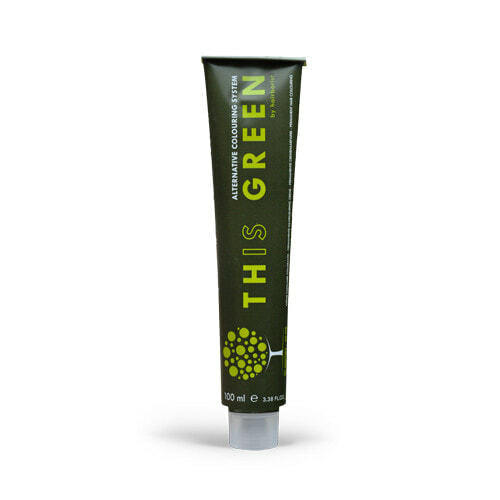 This Green’s product range contains olive oil, very popular in cosmetics: full of essential fatty acids and vitamins (A, C, D and E), it softens, revitalizes and restores shine to dull hair. Olive oil is also known to promote cell renewal and acts as a potent stimulant for hair and the scalp.